Pregnancy can be one of the most exciting times in a woman’s life, yet can also knock her off her feet with nausea. If you are one of those unfortunate women who has to deal with morning sickness, (and if you are, it’s not uncommon) then you certainly don’t want to lie around in let it get the best of you. 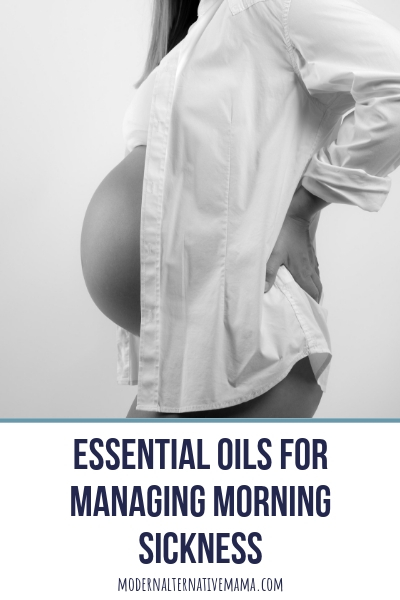 The good news is there are plenty of essential oils for morning sickness (that are safe to use during pregnancy) that can help you get through the tough times of pregnancy and make it a much more enjoyable experience. 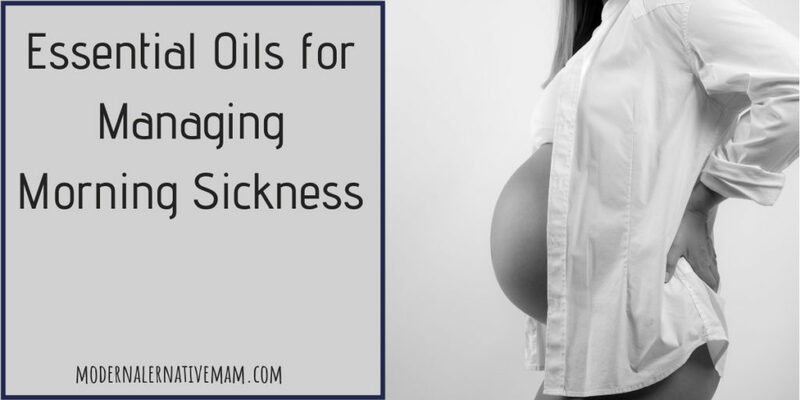 Knowing which oils to use for managing morning sickness will arm you with a natural way to fight the yucky feeling that comes with bringing a new baby into the world. It’s difficult, but definitely worth it and with the help of essential oils, your morning sickness doesn’t have to overtake you. It’s definitely important to use precaution when using essential oils during pregnancy. But if you know the right way to use them, they’re definitely a good option for fending off nausea and vomiting. There are several very effective ways to use essential oils. One of my favorite ways to use essential oils during pregnancy, is to put several drops of essential oils on a cotton ball and put it into a sealed container. Tuck it away inside your purse or a convenient location and pull it out the first moment you start to feel a twinge of nausea. Slowly, and calmly inhale the essential oil scent and feel as it begins to calm your body down. I found lemon to be very effective for this purpose. Others claim lavender or peppermint are great choices. Another good way to use essential oils for morning sickness is to massage them into the bottoms of your feet, behind your ears, on your wrists, on your belly, or if you are able to find someone to help you, massaging them into your back is also very effective. Not only does the essential oil penetrate your skin and help calm down, but a massage is very effective in relaxing you as well. Diffusing oils is a great way to calm morning sickness during pregnancy. For effective morning sickness treatment, put a diffuser with grapefruit or peppermint oil beside your bed and let it run all night. You might find that simply diffusing essential oils calms your nausea more than anything. It’s not a good idea to ingest essential oils and especially during pregnancy. I highly recommend you read this post to find out why it’s not good practice to ingest essential oils, regardless of information commonly found on the internet. It is a good idea to use essential oils for morning sickness at the first sign of nausea. However, prevention is also a very good idea. Learn to listen to your body and you will start to see patterns. Do you always wake up feeling nauseous? If so, then start out your day with peppermint oil. If nausea tends to hit you more at night, then diffuse essential oils before heading to bed. Really, you can use essential oils at any time, however, the key is making sure you find the best time for your body. It may take awhile for you to discover exactly which essential oil works best for you. Perhaps even trying a blend of essential oils will be the key to managing your morning sickness. Don’t be afraid to try combinations or different applications. You may also find that something that helps one day isn’t as effective on another day, or vice versa. Don’t leave home without your essential oils! It’s important that you use them on a regular basis, therefore you should keep them with you while you are in the morning sickness phase of your pregnancy. The following are essential oils that are safe to use in pregnancy and many women have found effective for combating morning sickness. Any of these oils can safely be used in a diffuser or inhaled to help cure morning sickness. The fresh scent of lemon oil is sometimes enough to calm the queasiness down. Inhaling a few breaths of essential oil may very well calm nausea and vomiting. Peppermint oil can sometimes be a fast and effective way to calm nausea and vomiting that accompanies morning sickness. Use caution with this oil though as some people can be sensitive to peppermint and if used later in pregnancy may affect milk supply. Spearmint is a great choice for morning sickness because it is a little gentler than peppermint oil, while still having many of the same healing properties. Some women who cannot tolerate peppermint oil do okay with spearmint. Ginger shuts off nausea receptors in the brain and can be very effective in preventing vomiting after the nausea has already started. Chamomile has a reputation for calming the tummy. It’s an excellent choice for nausea and vomiting. It also has a relaxing effect which can be very beneficial for treating morning sickness. The refreshing and uplifting scent of sweet orange oil makes it an excellent choice for soothing nausea and vomiting. Although grapefruit oil is not quite as popular as it’s other citrus cousins such as, sweet orange or lemon oil, it is just as good of a choice for helping cure morning sickness. Lavender has always been known to have soothing and relaxing properties, which naturally makes it helpful for calming the queasiness associated with morning sickness. As you can see, there are many choices of essential oils for morning sickness that are available to use. Sometimes it takes a little experimentation to find which oil or combination of oils will work for you, but be encouraged that there are options available! You definitely don’t have to suffer! Have you ever used essential oils to manage morning sickness? Do you have any favorite essential oils that were very effective for you?